We are a team of creative nerds that fell in love with website design and development. Our websites do not just look impressive, but they rank on Google page 1. Please check out the packages below and let us know which one suits your company best. We are a reliable web designers based in Windhoek, and Swakopmund. 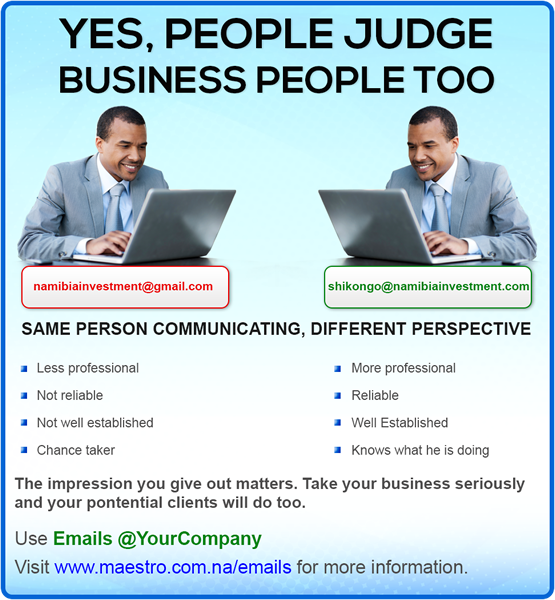 Our work speak for itself, that is why we did the most websites in Namibia. Please visit our clients page to see companies that trusted us with their web presence for the past 11 years. Further customization to packages can be arranged. For you to have a live website on the Internet, a domain name (www.YourBusinessName.com.na) has to be registered, and each time it is online, it has to be hosted from a web server, so it would be available to the Internet users. We provide server space to store your website online and make it available on the World Wide Web. We register domain names and host websites and email's at affordable prices. Please check the below web hosting package's, and choose the one that suits you best. Prices indicated are VAT exclusive. We also provide email hosting at your domain. e.g you@your-business-name.com , this create more trust business wise. Maestro Web Hosting is Namibia's premier web hosting and domain registration, and web design company catering for over 500 companies. Due to the nature of our work and industry, we are able to offer web hosting and domain registration, and web design services to all Namibia's 14 regions. We have a list of satisfied clients country wide, in Germany and South Africa, as our work is not restricted by physical location.